Give the gift of a TLCA Membership to any Toyota lover! 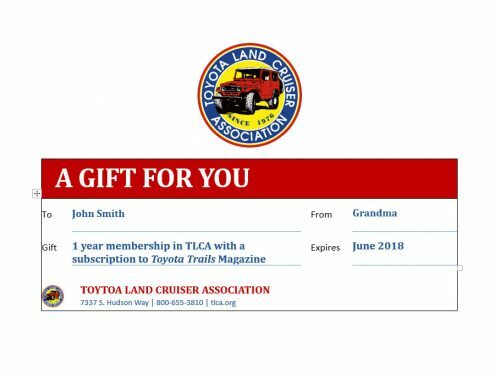 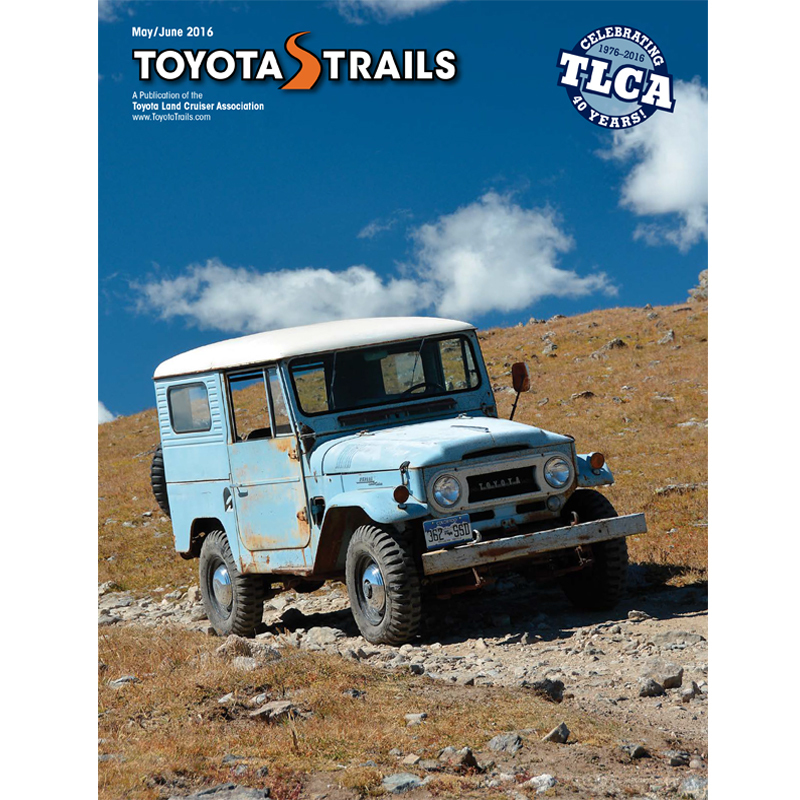 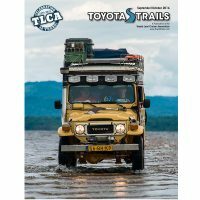 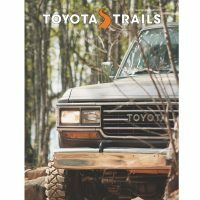 A gift membership includes all of the same benefits as a regular TLCA membership plus the latest issue of Toyota Trails mailed immediately to the gift recipient with a special note from you. 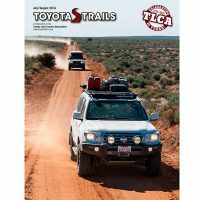 If you are renewing an active TLCA membership only a gift note will be mailed. 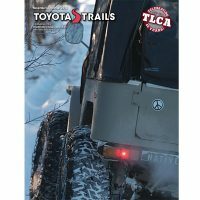 New memberships or memberships for expired members we recommend you select the option that includes a copy of the latest issue. 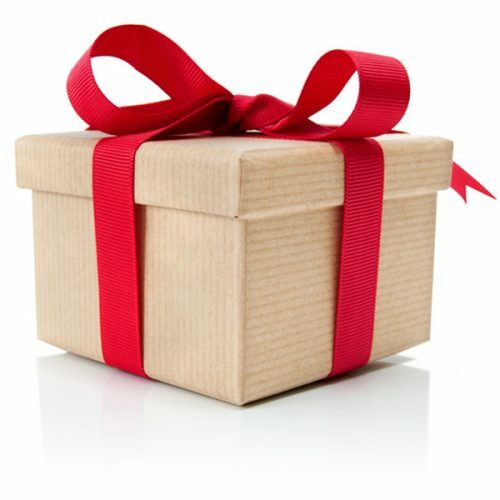 Be the first to review “Gift Membership” Click here to cancel reply.